A capacity entry for Cooper Tires World RX of Great Britain at Silverstone’s Speedmachine festival (May 25-27) has been revealed, with three British drivers set to fly the flag on home soil. The 25-car entry list features the 15 permanent World RX drivers, headed by reigning Drivers’ Champion and current points-leader Johan Kristoffersson, and includes star names like former World RX champions Petter Solberg and Mattias Ekstrom, and nine-time World Rally Champion Sebastien Loeb. 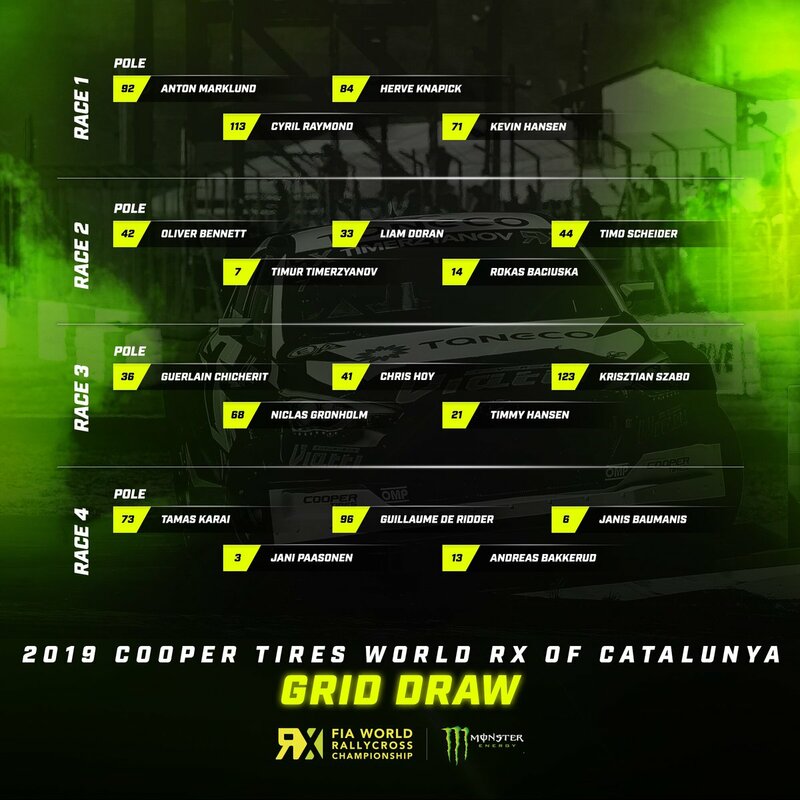 In total, drivers representing 11 nationalities will compete across 15 teams in the first Cooper Tires World RX of Great Britain to be held at ‘Home of British Motor Racing’. The event is a centrepiece of the Speedmachine festival, which combines an entertainment package of live music, Esports, demonstrations and much more with spectacular World Championship action. 2013 British Touring Car Champion Andrew Jordan and three-time British Rally Champion Mark Higgins will race in their home event, the latter making his World RX debut at the wheel of an Albatec Racing Peugeot 208. Jordan, meanwhile, is be joined in the MJP Ford Fiesta squad by two-time World RX winner Toomas ‘Topi’ Heikkinen and 2014 runner-up, who makes his first appearance of the season. Oliver Bennett raced in the opening two rounds of World RX in Catalunya-Barcelona and Portugal with a new Mini Cooper S Supercar and will also be in action in front of his home crowds, as will former MSA British Rallycross Champion Ollie O’Donovan, driving a Ford Fiesta. Sweden’s Anton Marklund will compete in his first World RX event as reigning FIA European Rallycross Champion, driving a Volkswagen Polo for the Marklund Motorsport team, alongside former Euro RX title-holder Tommy Rustad, who competes under the Marklund-HTB Racing banner. Team STARD, which fields a permanent Ford Fiesta Supercar in World RX for Latvia’s Janis Baumanis, will expand to a two-car line-up for the first ever World RX round held at Silverstone, the second car driven by former Formula 1 test driver, World Touring Car Championship race winner and now Formula E driver Ma Qinghua, who will become the first Chinese participant in a World RX event. Experienced Frenchman Herve ‘Knapick’ Lemonnier will make his second World RX start of the season in a Citroen DS3 run by his own team and Hungarian Euro RX front-runner Tamas Karai will compete in an Audi A1 Supercar. The RX2 International Series support-category will also be in action at Silverstone, for which the entry list will be revealed in due course.